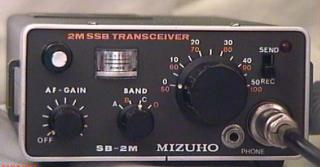 In the 1970s the SB series was Mizuho's line of HF and VHF single sideband transceivers. All models were also capable of CW. These radios were contemporaries of Mizuho's DC series direct conversion CW transceiver and the MK-610 6m AM/CW portable. 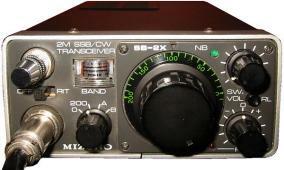 The last of the SB series, circa 1981, was the SB-8X triband 6/15/40 meter transciever. 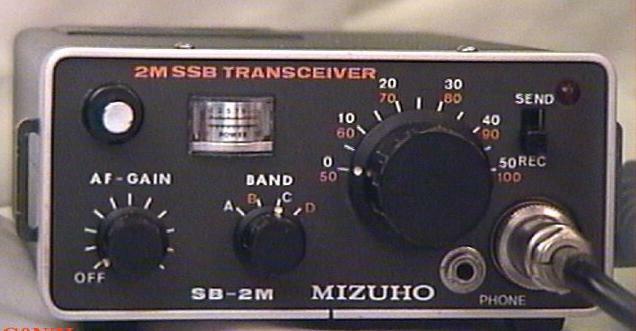 This rig is the only Mizuho transceiver with a digital display and is much newer and more avanced than any other SB series rig. Click on each image for a larger photo, or each link for detailed descriptions, specifications, and manuals/schematics.